Are you sick of bacon yet? No? Good, because we still have a few days left of Bacon Week! We covered tacos and appetizers so we figured it was time to bring in a bit of green! 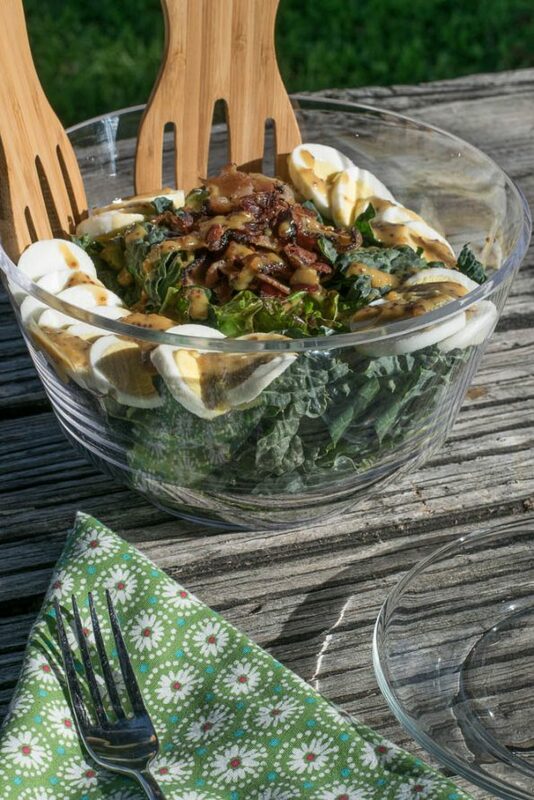 With our Honey Mustard Kale and Bacon Salad recipe, we are doing our take on the classic spinach salad. Kale makes everything better doesn’t it? Not to mention it’s great for you (it is a super-food after all)! We’ve done this recipe a couple times with various ingredients in the dressing. It actually started out as a “we need some dressing, what do we have in the fridge” type recipe. We found that whole seed mustard definitely adds a better texture and more flavor though can be substituted for standard honey mustard. If you don’t have smoked salt, it isn’t the end of the world. Just use standard salt instead. It will just have a less smokiness and won’t negatively impact the flavor of the salad. Can you believe that Bacon Week is almost over? It seems like we just started this journey into the world of bacon! 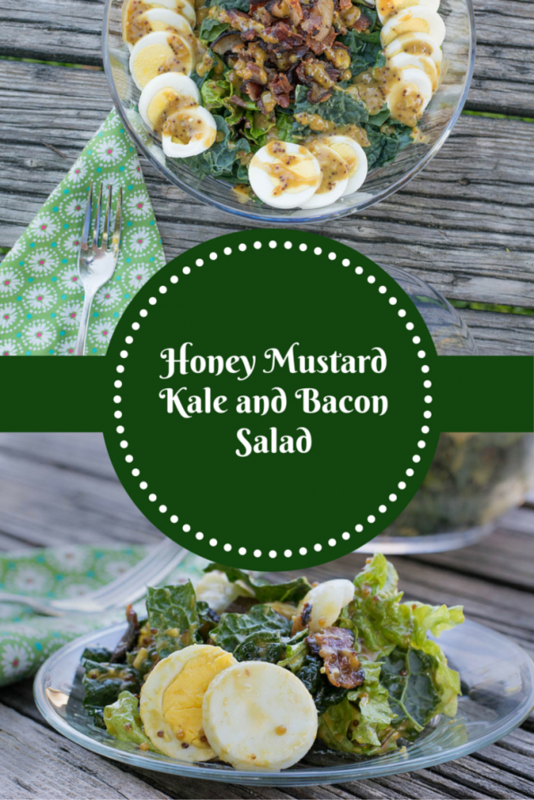 We hope you’ve enjoyed today’s recipe for Honey Mustard Kale and Bacon Salad. What has been your favorite recipe so far? Let us know in the comments below or using the hash tag #GWEBacon! We’d love to hear from you! Wash and chop kale and lettuce. Thoroughly dry and combine greens. Add bacon, egg, and dressing.